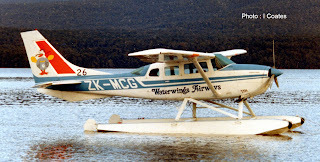 Waterwings Airways was started by Chris Willets in 1983 when he took over Mount Cook Airlines’ loss-making floatplane service at Te Anau. At that stage the floatplane operation at Te Anau had two Cessna U206G Stationair 6 floatplanes, ZK-EFI and ZK-MCG. 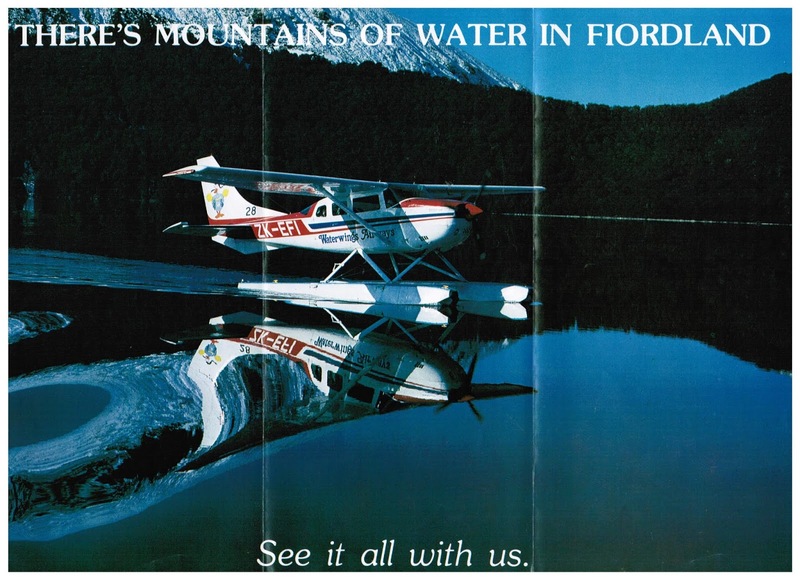 In 1984 Waterwings Airways expanded into land-based aircraft with the addition of aptly registered Cessna 207 Skywagon ZK-DRY to the fleet. This enabled expansion into Queenstown and started operating on the lucrative Queenstown Milford Sound route under the name of Milford Sound Scenic Flights. A second Cessna 207 Skywagon ZK-WET was added to the fleet in 1985. 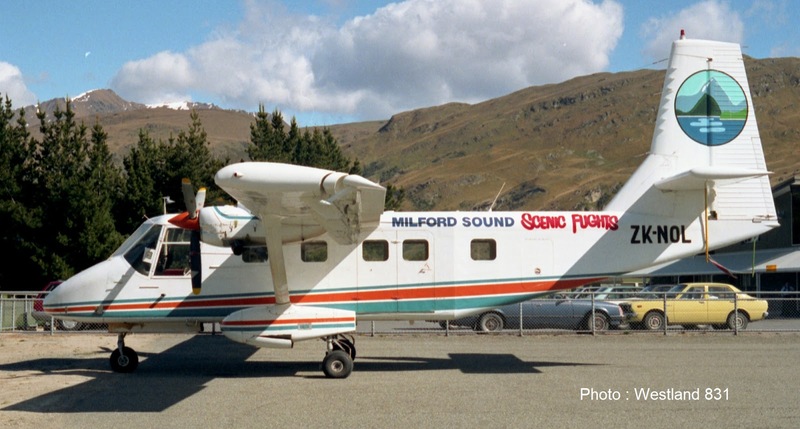 The company operated all its land based operations under the Milford Sound Scenic Flights name while the holding company remained as Waterwings Airways (Te Anau) Ltd. 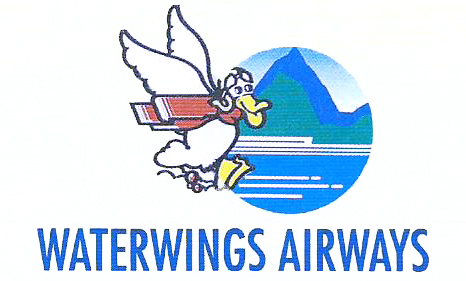 In 1985 Waterwings Airways' entered into an agreement with Newmans Air to offer feeder services between Queenstown and Te Anau. 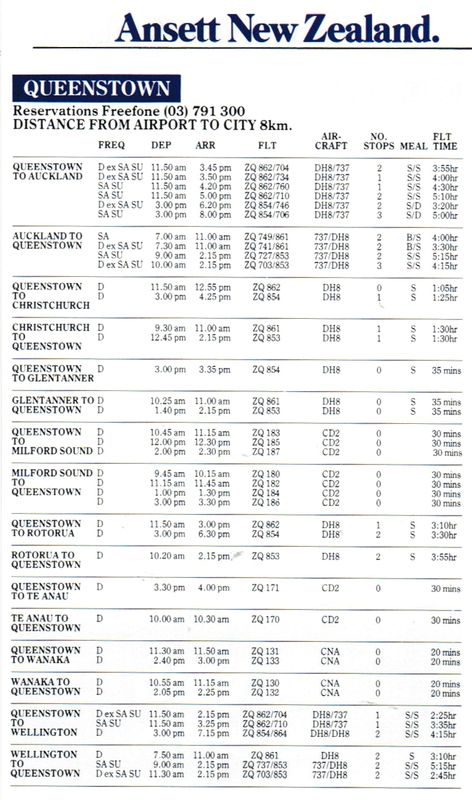 In Newmans Air's timetable of 1 June 1985 a daily flight was offered from Te Anau to Queenstown at 8.15am and a return flight departing at 1.40pm. The flights were timed to meet Newmans Air Dash 7 flights to and from Christchurch. From the 1985/86 summer the Newmans Air schedule showed Waterwings Airways operating two flights each day between the two centres. 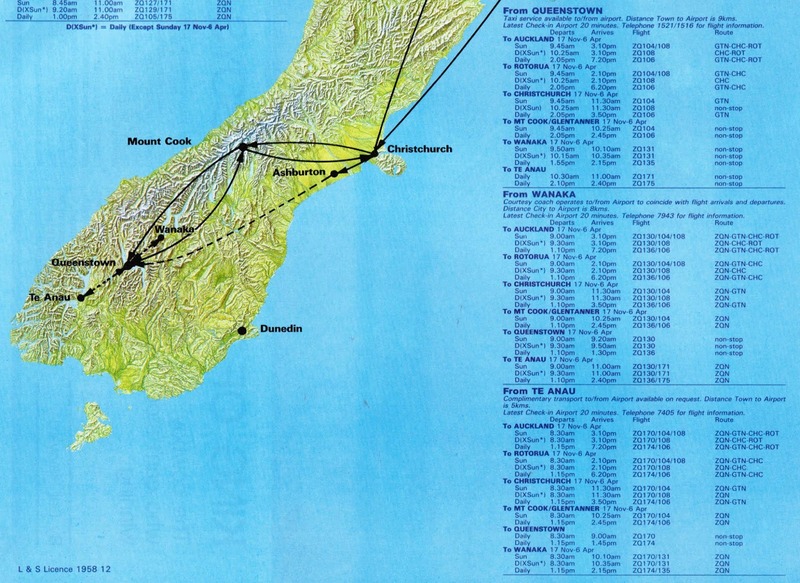 These flights all operated with Newmans Air ZQ flight numbers but the timetable did not indicate that the service was a feeder service operated in the Milford Sound Scenic Flights' Cessna 207s. In 1986 two Cessna 206 Stationairs ZK-DXD and ZK-EKJ were added to the fleet as well as Cessna 206 Stationair ZK-ETN which was on lease to Waterwings Airways. ZK-EKJ became a floatplane while DXD and ETN were used on the flights between Queenstown and Milford and Te Anau. In 1987 the first of two GAF N22 Nomads, ZK-NOM, was added to the fleet. A second Nomad, ZK-NOL, followed in 1988. 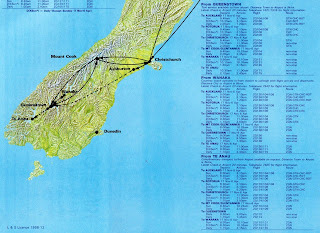 At the same time Ansett New Zealand took over Newmans Air and the timetable of 1 February 1987 shows two Nomad flights between Te Anau and Queesntown and four Nomad flights between Queenstown and Milford Sound. Milford Sound Scenic Flights two GAF N22 Nomads, ZK-NOL (above) on 24 October 1987 and ZK-NOM on 2 December 1988 (below). Both photos taken at Queenstown. 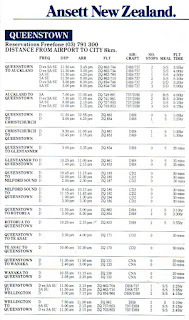 Ansett New Zealand timetable effective 1 October 1987 showing Waterwings Airways' flights between Queenstown and Te Anau and Queenstown and Milford Sound. The CD2 aircraft type refers to the GAF Nomads. It was rare to see Waterwings Airways titled aircraft on wheels, however, here is Cessna 206 at Queenstown on 1 September 1990. While the airline service was a significant feature of the operation the main focus of the company was the tourist flights into Milford Sound. In December 1992 GAF Nomad ZK-NOM was sold and ZK-NOL in December 1994. This left the company operating Cessna 207s. Waterwings Airways' relationship with Ansett New Zealand lasted through until 1998 when it ceased including the Waterwings Airways' Queenstown to Te Anau and Milford Sound flights in its timetable. Despite the loss of the Ansett flights Milford Sound Scenic Flights continued to operate its regular flightseeing operations to Milford Sound. These never again operated on a scheduled basis but rather fulfil the tourist demands that each day presented. A new Cessna 207 and a new colour scheme. Cessna 207 ZK-EAL at Queenstown on 14 December 1995. Christ Willets formally established Milford Sound Scenic Flights Ltd as a company on the 8th of April 1997. He sold this to Mark and Jacqualine Quickfall on the 30th of March 2001. The Te Anau Floatplane enterprise was sold in September 2003 and became known as Wings and Water (Te Anau) Ltd. Waterwings Airways (Te Anau) Ltd ceased 25 January 2006. The wet and the dry again - the first two Cessna 207s repainted, ZK-DRY (above) and ZK-WET (below). Both photos taken at Milford Sound on 14 September 1997. 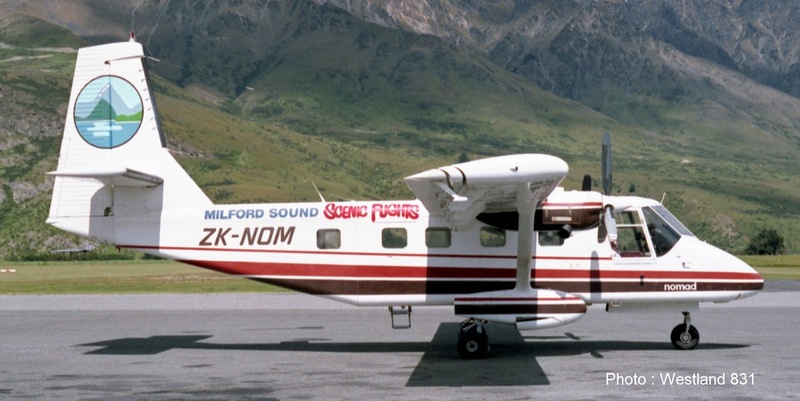 In late 2005 Mark Quickfall's Totally Tourism Ltd started a commercial joint venture with Real Journeys, Milford Sound Scenic Flights and Air Fiordland. 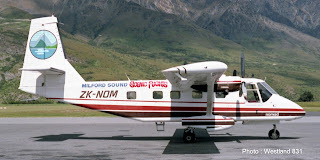 The joint venture operated under the name Milford Sound Flights. The three companies continued to use their own aircraft and worked together with passengers booked on flights across the operators and revenue shared. Initially the aircraft carried the logos of the three operators but since Mark Quickfall bought Air Fiordland the Air Fiordland logo longer features.